juniper jane-clothing and accessories for little ones and those who love them: another happy customer! 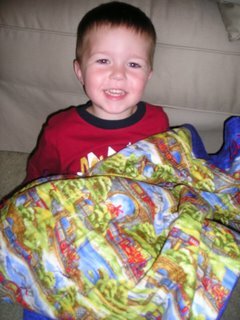 Here is a cutie with his cat nap quilt. He loves Thomas, so his quilt has trains, of course!